The final exam will be held on December 19 2017 from 9 to 11:30 (2.5 hours) in room DB 0016 (old TEL Building). The format of the exam is 5 short answer questions and one essay question. I have elected not to include any multiple choice questions. The exam is cumulative but heavily weighted towards post midterm material. You should study by reading the course materials and slides and your lecture notes, and by answering (and UNDERSTANDING!) the question at the back of chapters and the extra questions I have posted on the course website. Don’t just memorize material, think about the material. You are permitted to bring into the exam a one-page, one-sided, 8 1/2 x 11 inch sheet with notes. You must submit that sheet with your exam at the end of the exam period, but if you want it back later you can email me and request it. Make sure you put your name on it if you want it back. The invigilators will check to make sure there is writing on only one side. If there writing on both sides the sheet will be confiscated. Please obey the rules. November 28th, 2017 | Uncategorized | Tags: | Enter your password to view comments. November 21st, 2017 | Uncategorized | Tags: | Enter your password to view comments. November 14th, 2017 | Uncategorized | Tags: | Enter your password to view comments. Below are the midterm grades by last 6 digits of your student number. The mark is out of 100. The grades range from mid 90’s to 20’s. Over 25% of the grades are B+ or higher, which is relatively high, but there are also a lot of low grades. I will distribute the midterms next class. For those of you who did poorly, you may want to consider dropping the course before the Friday drop date. There is an optional essay assignment posted under the Assignment tab above, which changes the weight of the midterm from 45% to 30%. Because of the weighting, the essay option tends not to affect most student’s final grade more than a few percent up or down. Keep that in mind when you are deciding whether to write the essay. Lastly, there is no option to ignore your midterm mark altogether and write an essay instead, so please do not send me emails making that request. You need to decide whether you are dropping the course based on the grade you have received. Here are the midterm test marks. November 7th, 2017 | Uncategorized | Tags: | Enter your password to view comments. This lecture begins with the topic of Quits, which is the final subject of the Common Law Regime. We then move from the Common Law Regime to the Regulatory Regime. The Regulatory Regime involves government intervention in freedom of contract by means of statutes and regulations enacted by politicians. Each law enacted by the government addresses some perceived failure or the common law system of freedom of contract and tort law. Employment is among the most legislated relationships, but we will only have time in this class to explore two types of laws that are very important: employment standards and human rights. In this lecture, we introduce the Regulatory Regime and some key concepts related to it, and then we move onto consider how governments have regulated Wages. Here are the slides covering Quits. Here are lecture notes covering Chapter 19: Mapping Labour Market Regulation. Here’s the video I mentioned in class but did not show about how a Bill becomes a Law. It is based on US law, but the system is similar enough that the video is useful. Plus it is just a really fun video that I watched as a kid! 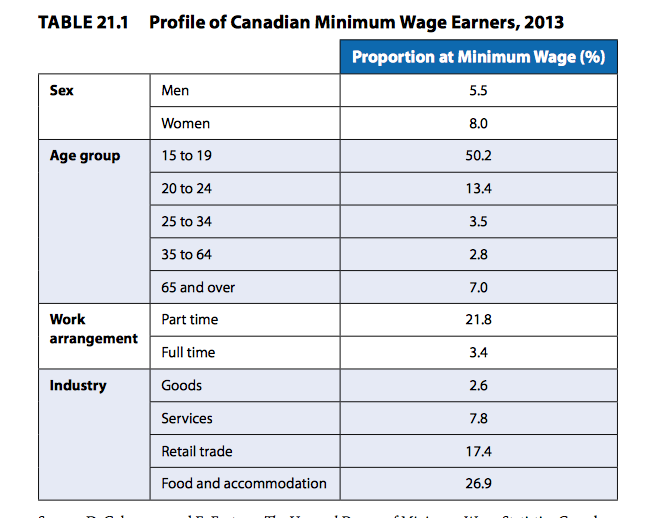 This handout provides an overview of the complex system of rules that govern minimum wages in Ontario, including a list of all the special categories and exemptions. 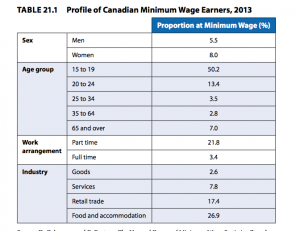 This handout details how Ontario law regulates hours of work. The optional assignment is now posted under the heading Assignment at the top of this page. Please read the instructions carefully. You do not need to tell me if you are doing the assignment ahead of time. If you submit an assignment by the due date you will be graded according to the grading scheme described as Option One on the outline. If you do not submit an assignment by the due date, you will graded according to Option Two (No assignment). Keep in mind that given the weighting scheme, the assignment tends to influence grades only a few percentages up or down and so you should keep this in mind in your decision whether it is a good use of your time to write the optional essay. For most of you, your time will be better spent studying for the exam. You must also assess whether essay writing is your strength or not. October 17th, 2017 | Uncategorized | Tags: | Enter your password to view comments. The midterm will have 20 multiple choice questions (bring a pencil) worth 2 marks each, and 4 short answer questions worth either 10 or 15 marks for a total of 60 marks. The test is 2 hours. It is closed book. It will be held in the normal classroom beginning at 2:40 and ending at 4:40 p.m. The midterm covers materials up to an including Week 6 on your syllabus (but NOT Chapter 17 Quits). Study by reading the materials closely, summarizing the key facts, issues, and legal decisions in the cases, and doing practice questions at the back of the chapters. You can also look at more practice questions here. I will provide you with this list of the names of all of the cases that we discussed and that appear in the Case Law Highlight boxes in the text. ESA Regulation 285/01 Min. Wage, Exclusions, etc.